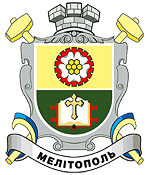 Melitopol (former Kyzyl-Yar, Novoaleksandrovka) is a city located in Zaporozhye region of Ukraine. It is standing on the Molochnaya (Milk) River. There is a railway station in the city. Area code - +380 619(2); postal code - 72300. 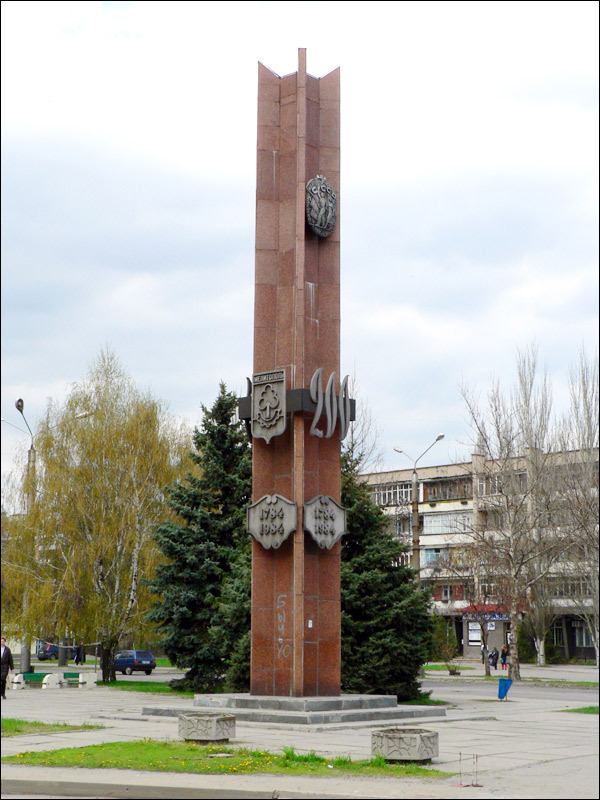 Local time in Melitopol city is April 21, 9:53 pm (+2 UTC). The first record of this area refers to 1524 and at that time it was not inhabited. But Tatars pastured their horses in the valley of Molochnaya River. This land was inhabited during the Russian-Turkish war of 1768-1774. In 1783, the Crimea and areas to the north of it were joined to the Russian Empire. Peasants and former soldiers from all over the Russian Empire as well as Zaporozhye Cossacks moved to the area. The first settlers arrived in 1795-1796. Their houses were the beginning of Novoaleksandrovka settlement. In 1816, the total population of the village was about 200. The land around Novoaleksandrovka was fertile. The settlement itself was located at the crossroads of trade ways to the Azov and Black Seas. 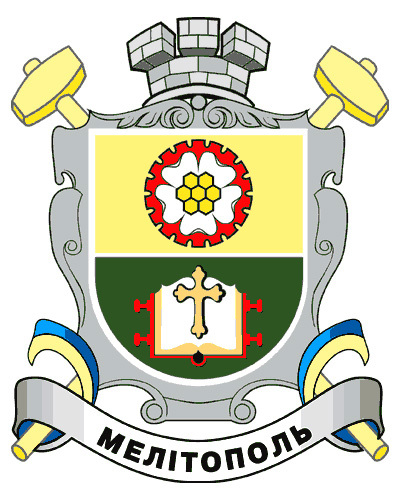 In 1842, it turned into a town and got a new name – Melitopol (from Greek “melitos” - “honey” and “polis” - “a city, a state”). As it was located in the center of the Northern Tauria and on the main trade ways to the Crimea, it developed as a trade town. By the early 20th century, there were about 350 trade firms in the town. The main commodities for trade were bread, wool, cattle and other agricultural products. 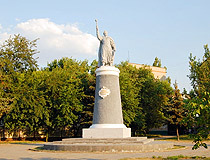 Before the World War II, Melitopol was located only in the valley of Molochnaya River, but, later, new districts were built and several settlements joined the city. 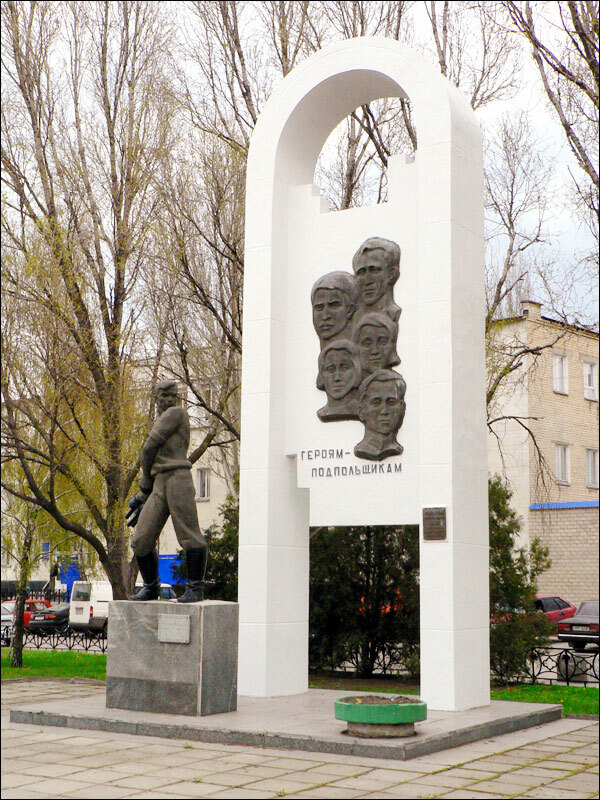 In 1984, Melitopol celebrated its 200th anniversary. The climate is moderately continental with hot, dry summers, frequent droughts, relatively cold winters with little snow. The average annual temperature is +9.4 degrees Celsius. The average air temperature in the coldest month (January) ranges from -3.5 to -4.5 degrees C, the warmest - (July), from +22.5 to +23.5 degrees C.
Today, Melitopol is a rapidly developing scientific and industrial center of the southeastern Ukraine. Also, food and light industries are developing. There are bakeries, confectionery, meat and fish processing plants, and others. 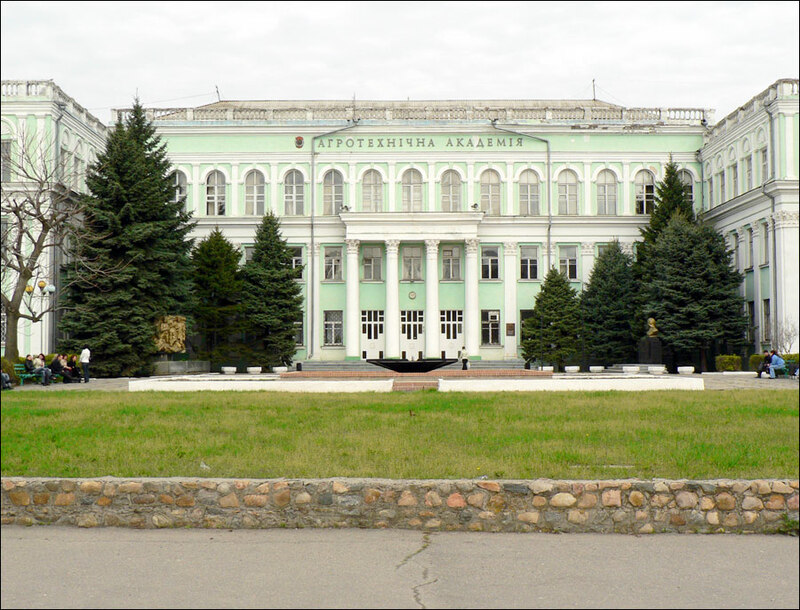 Institute of Ecology and Social Technologies. 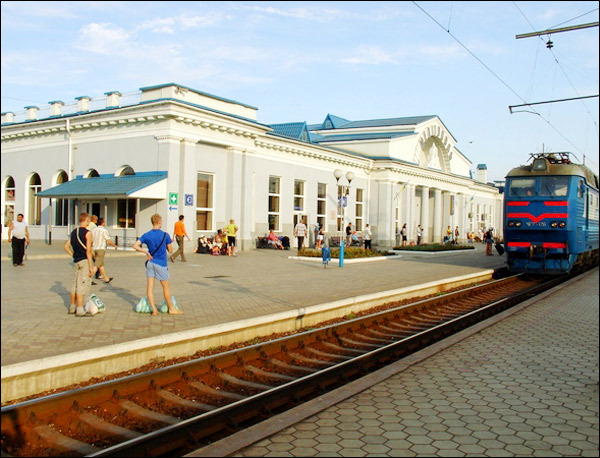 Melitopol is one of the most important transportation hubs in the southern Ukraine. The city is located at the intersection of highways of international importance: M-18 “Kharkov - Simferopol - Alushta - Yalta” and M-14 “Odessa - Melitopol - Novoazovsk”. 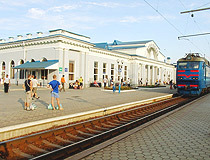 The railway station of Melitopol plays an important role on the way from Moscow (Russia) and Kharkov to the Crimea. 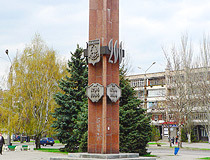 Long-distance bus routes (the bus station #1) connect the city with most regions of Ukraine, Moldova and Rostov-on-Don (Russia). The bus station #2 buses run to surrounding villages and small towns, particularly, to resort towns of the Azov Sea coast. Alexander Nevsky Cathedral. The cathedral was built in 1815-1831. 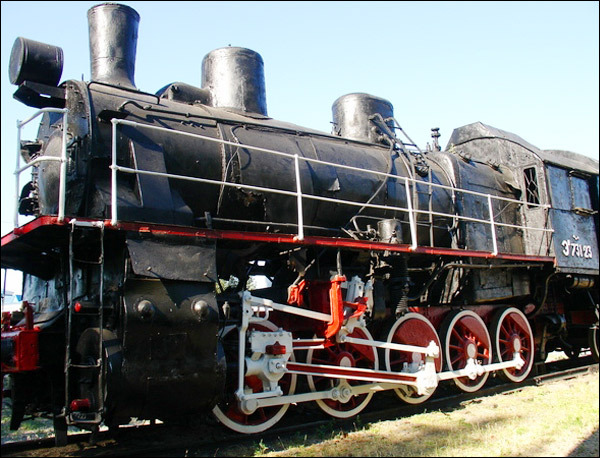 It was named in honor of Grand Duke Alexander Nevsky. Originally, the church was built of wood. Later, it was rebuilt in stone. Alexander Nevsky Street, 5. St. Savva Monastery. 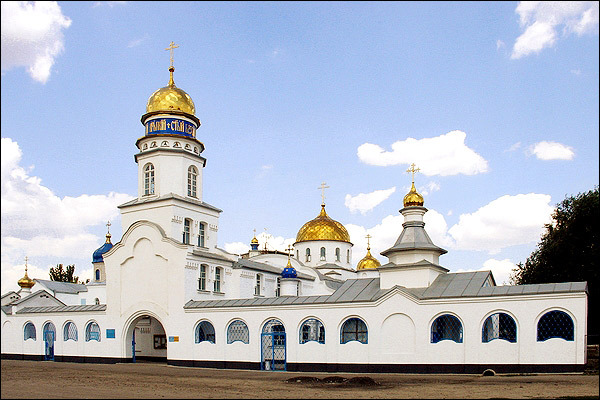 The monastery is one of the newly formed Ukrainian monasteries. 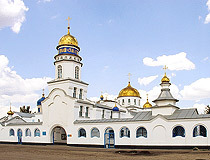 The construction of the monastery began in May 1995. In 2005, the construction was completed. Vorovsky Street, 45. The natural monument “Kamennaya Mogila” (“Stone Grave”). 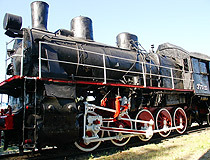 It is located 2 km from Mirnoye village and 10 km from the city. “Stone Grave” is a 12 meters height heap of stones covering about 30,000 sq. meters. The object has a shape of a mound (“mogila” on Ukrainian), hence the name of the monument. “Kamennaya Mogila” has 87 grottoes and caves; thousands of ancient drawings and symbols (petroglyphs) can be found in 65 of them. The chronology of petroglyphs covers a vast period from the late Paleolithic era to the Middle Ages (from the 24-22 thousand years BC to the 10th-12th centuries). No remains of human settlements were found near the place or in close proximity to it. On this basis, researchers concluded that “Stone Grave” was used exclusively for religious purposes, as a sanctuary. In September 2008, the reserve received a national status. 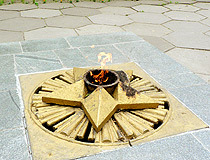 Since that time, its official name is the National Historical and Archaeological Reserve “Kamennaya Mogila”. Hotel “Planet MTF”. This new modern hotel with rooms decorated in Ukrainian style is located in the historic center, near Victory Square. The main services: 5 halls restaurant (European, Ukrainian, International cuisine, 2 bars, billiards, laundry, Wi-Fi, conference hall, parking. Lenin Street, 8. Contact phone: +380 619 44 00 65. Hotel “Vorontsovskiy”. It is a new modern hotel located in the central administrative and historic part of the city, a 3-minute walk from the central market. The main services: cafe-bar, night club, taxi, Wi-Fi, parking. 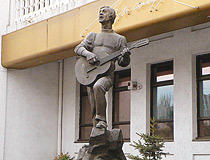 Sverdlov Street, 11. Contact phones: +380 619 42 44 64, +380 619 44 84 74. Mini-hotel “Bashnya” (“Tower”). It is a modern three-storeyed mini hotel located in the center. The main services: cafe (European cuisine), sauna, billiards, parking. Khmelnitsky Avenue, 27. Contact phones: +380 619 43 48 45, +380 619 43 52 65, +380 619 43 48 42. Mini-hotel “Atrium”. 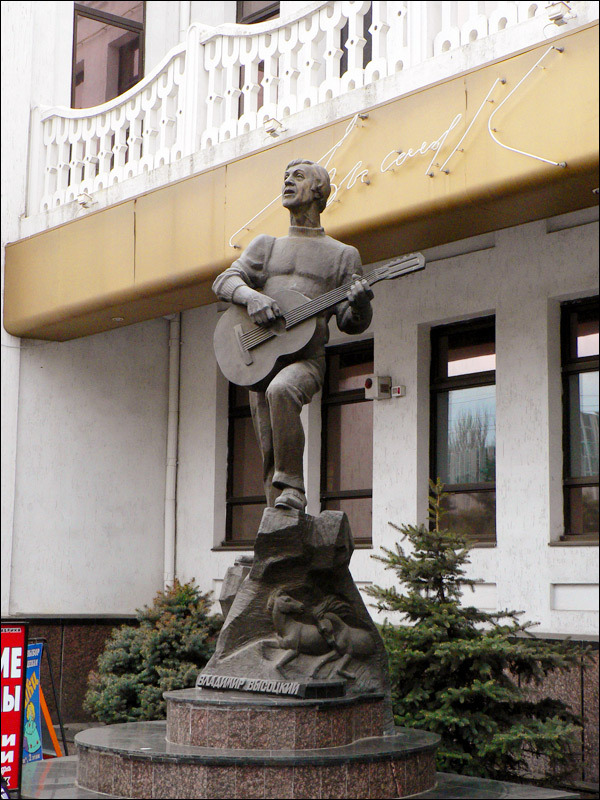 The hotel is located in the center of Melitopol. The nain services: kitchen, bar, billiards, sauna, massage, Wi-Fi, safe, parking. 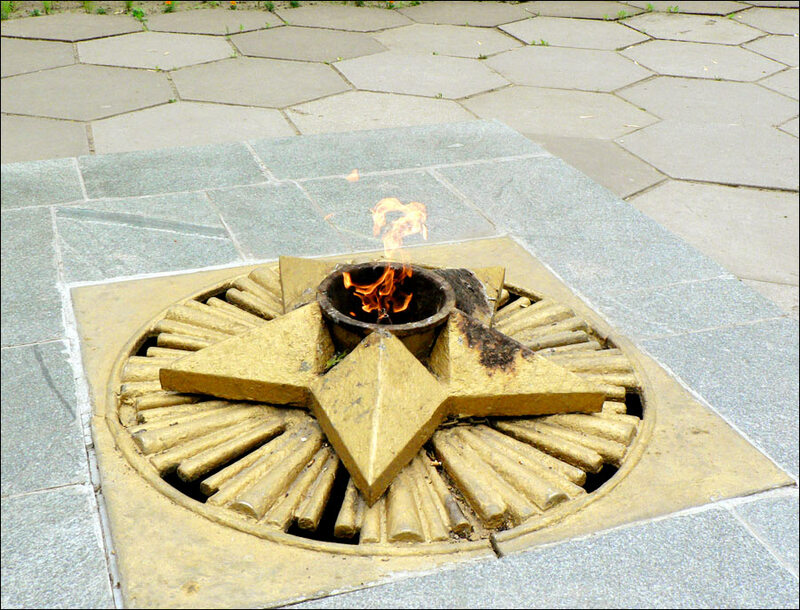 30th Anniversary of Victory Avenue, 22-a. Contact phone: +380 6192 5 41 31. Motel “Yuzhniy” (“Southern”). The motel is located on the southern outskirts of the city. 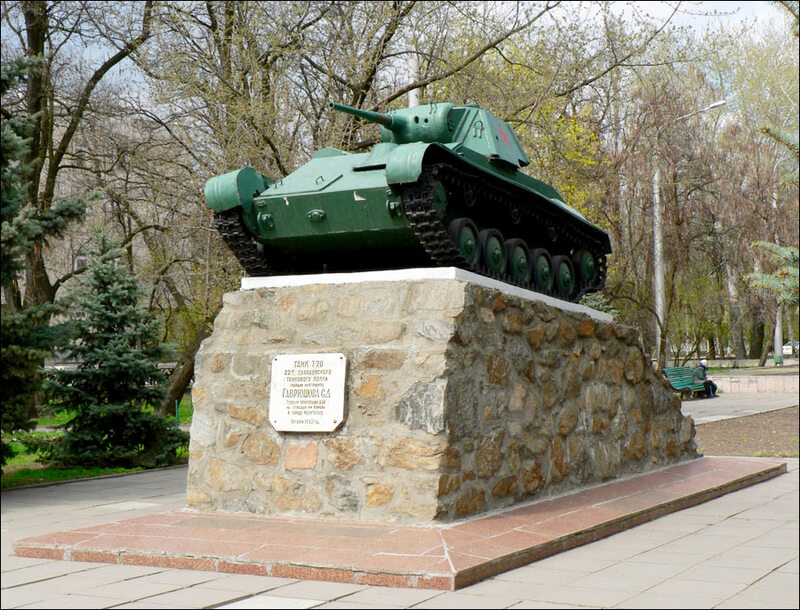 It is standing on the highway leading to resorts of the Black and Azov Seas. The main services: cafe-bar, sauna, laundry, taxi, parking. 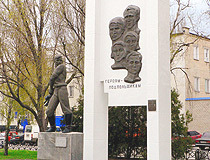 Khmelnitsky Avenue, 100. Contact phone: +380 619 43 10 21. Motel “Lord”. This new motel complex is located at the entrance to Melitopol on the highway “Moscow-Simferopol”. The main services: cafe-bar, sauna, car wash, parking. Lomonosov Street, 335-a. Contact phone: +380 619 41 10 81. Your website has given me further information in my quest to research the background of my mother. I will visit this beautiful city of her birth one day soon, I hope. Thank you for giving me another piece to the puzzle. I enjoyed reading all the contents of this site. Very informational and educational. Will help a lot in my future travel to the city of Melitopol. 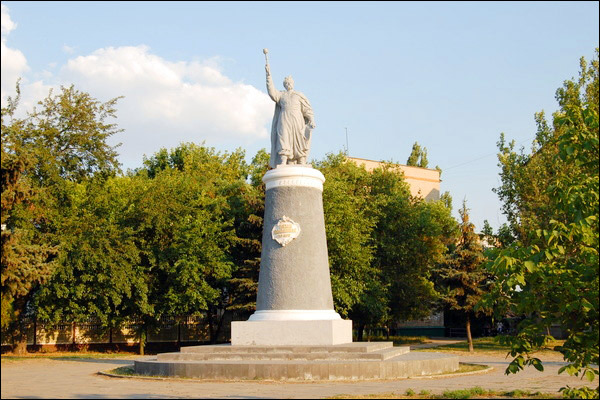 History, culture and People, transportation system, train, hotels, geography, government, all this makes Melitopol great city.